From the most pious spring amp reverbs to ethereal pitch-shifted shimmers, reverb options are appropriately vast. Artificial reverb pedals are essential music tools, as they help to create the sense of space that is otherwise eliminated by instruments and close-milking voices in an acoustically dead atmosphere. 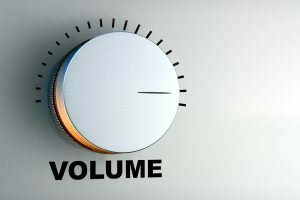 Reverb, in the real world, is created by reflection or re-reflection of sounds from surfaces in a confined or partially confined space, and the resulting is typically complex. In the early days of music recording, there were no reverbs, so the effect reverbs bring were created by placing loudspeakers and microphones in a reflective room to get the feel of a reverberant atmosphere. 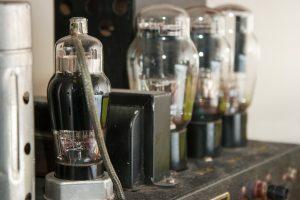 Today there are different types of reverbs, with each having their unique applications and capacities. 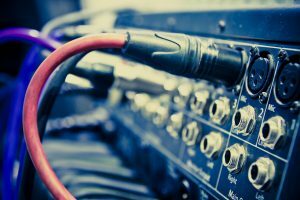 However, with the presence of many reverb options in the market, choosing the right one for your recording needs can be a hassle. But we’ve put in the research to ensure your decision making is seamless. 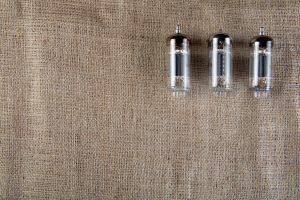 After reading through hundreds of reviews, this article has been designed to make sure you are getting the best reverb pedals for ambient music. 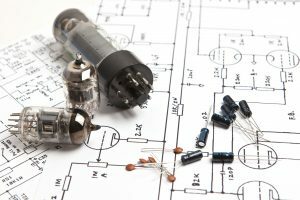 Trying to find the right reverb pedal can be an overwhelming prospect. Each reverb pedal gives a very unique sound. What do you want to achieve with your reverb pedal? Do you need a lot of flexibility so you can play different songs? Or are you looking for a reverb with unique sounds that offers something fresh? Like delay pedals, there are different types of reverbs. The major types of reverbs are Spring, Plate, Hall, and Room. 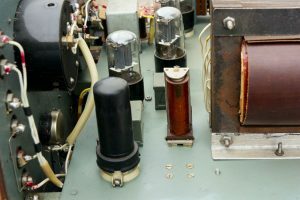 A long metal spring vibrates in a spring reverb, with a pickup capturing the vibration. Spring reverbs produce a very unique sound and if the device is shaken, you will literally hear the metal spring shaking too. Plate reverbs are similar to spring reverbs, only that this reverb makes use of a sheet rather than a spring. The sheet vibrates from a transducer with a pickup capturing the vibration. Room reverbs are used for the simulation of natural sound in an acoustic space, typically a small enclosed room. 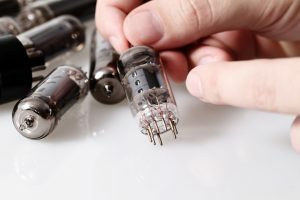 They generally have short, swift dissipating reflections, and can act as a substitute for a conjunction with a slap-back delay or slap-back echo sound to boost the effect. Hall reverbs are used for the simulation of large concert hall-styled reverberations, and they are generally suitable for bigger sounding needs, more reflections, and longer decay times. 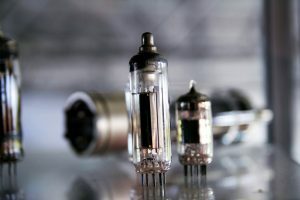 Since the reverb pedal is one of the last effects a guitarist applies, the presence or absence of stereo will play a big role in the entire signal chain. If you do not want to play a stereo rig, you wouldn’t need to worry about this. But if you would run a stereo rig, then you would need a stereo reverb pedal. What does your current pedal look like? How many of them are stereo? This would give you a good idea about whether you will need a stereo reverb pedal or not. If your pedals are any of a stereo delay pedal or stereo chorus, consider going for a stereo reverb pedal. Choosing between a true bypass and buffered bypass reverb pedal is important as both produce different effects. A reverb is typically designed to create a sound or tone that trails off, naturally fading away even after you stop playing. If you hit the bypass footswitch on a reverb pedal that uses True Bypass, the effect will be cut off before the sound trail fades away, and cutting out the sound suddenly can be very jarring. Buffered bypass, on the other hand, allows the sound effect continue to trail off naturally even after you hit the bypass footswitch. So if you are looking for a reverb pedal that is always active, a true bypass is your best bet. But if a reverb that can be turned on and off at intervals appeals to you, buffered bypass is just ideal. 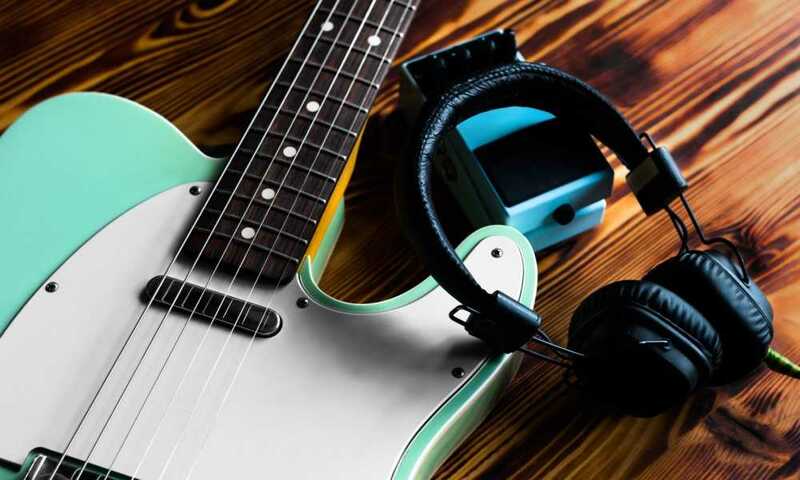 Are you type of guitarist that prefers lots of controls or are you more of the simple one-knob player? You’d have to keep this in mind when looking out for reverb pedals. Take for instance the EHX Cathedral reverb with six knobs and multiple mode settings compared to the simpler Wampler Faux reverb with just three knobs. Though the more complex reverb will involve a steeper learning curve, its versatility is a strong point. Your choice – simple or complex – really depends on what you like to spend your time on. Most reverb pedals available today are only digital iterations of the original stuff. 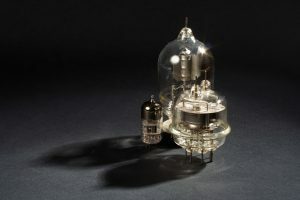 So when looking at reverb pedals in the market, you will most likely be checking out digital specs. Fortunately, with the presence of advanced technology, these digital reverbs are just as good as the analog versions, producing quality tones and sounds. Your budget will also greatly affect your choice. Like all pedals and many accessories, reverb pedals come in a wide range of price points. The EHX or Wampler reverb pedal, for example, costs up to $200 while you can get a TC Electronics for less than $150. The market is huge and with great patience and understanding of your needs, you can grab some awesome reverb pedals at a great price. 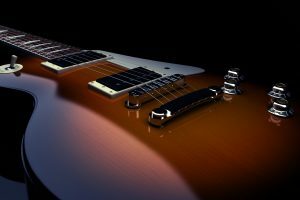 As an electric guitarist, you may just need some level of distortion, and a reverb pedal ticks the right boxes for you. 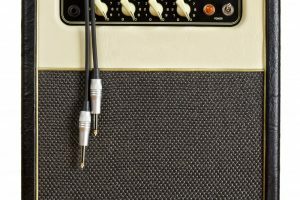 If you are the type of guitarist that fancies varied playing styles during a show but wants to maintain the level of the material, a reverb pedal is a great option. The Strymon BigSky has quickly become the reverb pedal of choice for many pro guitarists – and this is for good reason. In addition to its stunning sound effects, this pedal is top drawer if you have used MIDI effects switcher or you have a MIDI-based rig. The Strymon BigSky reverb pedal is the easiest MIDI enabled stompboxes to integrate into your rig as it has an extensive list of MIDI functionality. Even if you are hardly interested in MIDI enabled pedals and just need a multi-algorithm reverb, the Strymon BigSky offers more than enough tones and options to make it a solid investment. The 12 reverb machines are just as exceptional and natural as you’d like it, spanning the history of reverb pedals with the Spring, Plate, Room, and Hall modes. And thanks to the Bloom, Swell, and Cloud reverb machines, the Strymon BigSky has become a favorite reverb pedal for ambient music. The customer reviews on Amazon for this reverb pedal serve as proof of its top quality. Ray, for instance, said, it’s the “best pedal ever… just smooth and beautiful harmonics and swell effects”. Another customer sums up the awesomeness of the BigSky reverb pedal, describing it as “absolutely incredible”. However, a major downside of the pedal, according to a few buyers, is its high price point. But this is expected due to the exceptional quality the reverb pedal brings. Eventide, as everyone knows, has been in the pedal business for decades, rolling out high quality rack effect processors. The “Factor” series was a landmark release for the company, and over time, Eventide has evolved, producing high quality reverb pedals. But what makes Eventide’s Space such an innovative release? Its sound quality is truly incredible, a vast wormhole of tone. You’ll be getting 12 effects and Eclipse V4 rackmount processors. While some of the effects are pure reverbs, others are combinations when paired with pitch-shifting modulation, delays, tremolo, and spatial effects. If you are looking for a stompbox for ambient effect, Eventide’s Space is the most comprehensive reverb around, and you’ll definitely get the best results if you have a home studio. While the price point may be on the high side, you can rest assured it is value for money. In fact, when compared to the best quality plug-ins and rackmount reverb processor, Space is pocket-friendly enough for its price point. Over 80 percent of the customers on Amazon were satisfied with the delivery of Eventide’s Space. In fact, one of the customers describes the product saying, “Eventide Space will give you sounds you’ve never dreamed possible”. Another customer says the Eventide Space is “the best pedal for ambient landscapes. While another buyer, Ron, says the reverb pedal is “too complex for a jazz guitar performer”, he goes on to admit that “if one had the time to delve into the intricacies of programming this little beast, it could provide whatever effect you desire”. Yes, the Space reverb pedal is just as great as any top quality reverb pedal available today, and you can rest assured it will give you only the best results. The Electro-Harmonix reverb pedal is one of the best stompboxes in the market today. It is a high-end, refined, and versatile pedal that allows you a lot of creative freedom in addition to the top-level sound quality it offers. No, it is not just a simple stompbox. The EHX Cathedral is a full-fledged reverb unit that will require some time to understand if you are new to the reverb parameters. The reverb pedal features 8 unique reverb modes with each one modulating a different type of mechanism. 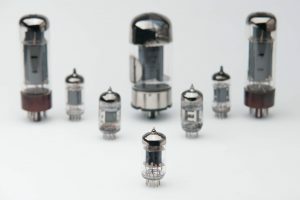 In addition to the classic spring and plate type, there are still more experimental options like the Reverse reverb and the Grail Flerb. The EHX Cathedral also features another option call Infinite Reverb. With this switch held down, the tone rings until you release it. By running the Infinite Reverb loop, you can also play chords and melodies over the verdant ambience it transmits. Of the 38 customer reviews on Amazon for the EHX Cathedral, over 70 percent were satisfied. One of them describes its delivery saying, “from sweeping atmospheric landscapes to subtle in room, this is a full spectrum of reverberation, spot on control, with ease dial in that classic surfer reverb and with a simple hold of the button lets you sound chime into the infinite”. 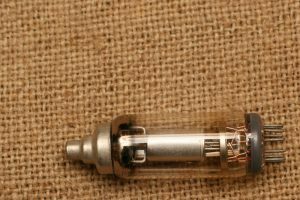 While most customers were beyond satisfied with the delivery of the EHX Cathedral, a few others raised some concerns. One customer, Elliot, says, “Maybe it’s just mine, but there is a constant (albeit quiet) digital whine coming from this pedal even in the bypass mode”. While this complain may be legitimate, many customers have expressed satisfaction concerning the sound quality and overall delivery. The original TC Electronic Hall of Fame earned its name for its flexibility and functionality, and this improved version aims to take its famous place. A noteworthy improvement with the Hall of Fame 2 is that the reverb algorithms were upgraded for better sound quality. The shimmer mode produces a bright and dreamy atmosphere, making for pleasant ambient tunes. The hall and church reverb modes yield airy tones that are just suitable for similar purposes, while the LoFi reverb mode produces a degraded sound which is ideal for indie music. The reverb pedal comes along with a full set of controls, allowing a guitarist adjust the tone of each sound, decay time, and the overall level. The mash footswitch, however, is the most impressive feature of the Hall of Fame 2. Unlike the regular bypass toggle, the pressure-sensitive switch of this reverb pedal can act as an expression pedal. It can be used for volume, tone, and decay controls and to create other effects while you play. A customer on Amazon describes the product with only a few words: “Simply the best reverb pedal of all times. Period”. Of course, most users felt the same way after trying out the reverb pedal. A few others felt differently though. Jesse, one of such customers says the product is “dead on arrival. Cheaply made”. While this complain be not be unfounded, it does not resonate with many others that have used the TC Electronic Hall of Fame 2. 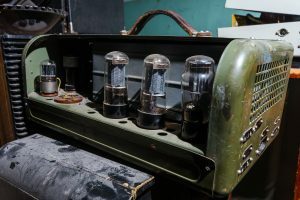 Electro-Harmonix is renowned for creating unique, top quality reverb pedals – and the Holy Grain Max is an example, and one of their best products in the market. Although it’s a big, studio-grade reverb pedal, the stompbox will easily fit into your pedal board. And with its strong die-cast casing, the reverb pedal will definitely survive several years of heavy usage. The Holy Grail Max reverb features a simple design with a bypass toggle and dial for the style, time, and blend of the reverb pedal. A guitarist can get up to four unique reverb styles from the pedal: Hall, Spring, Reverse, and Plate. And due to the circuitry path of the sidechain and dry signal, you can use the blend knob to adjust the dry/wet mix while marinating the volume. This makes adding a reverb a seamless process. As expected, most users are satisfied with the delivery of this product. Dan, a satisfied buyer says he is “very happy with this pedal. The Holy Grail is a winner”! Another user, however, reports saying, the Holy Grail Max Reverb “worked fine initially. Sounds good. After 2 months, it stopped working”. This is a unique concern on Amazon concerning the stompbox, so it is hardly an overarching review. Music feels good. Great music feels better. Without a healthy touch of reverb pedals, music hardly feels the same. Getting the right pedal, however, largely depends on your playing style, and this requires an informed choice. The tips, recommendations, and information above will make your decision making process seamless. You can now decide what you want and go for it: whether you are on a shoestring budget or you need a combination that is not featured in one pedal. Whatever your preference may be, your gig will feel better with one the above listed reverb pedals in your signal chain.